Join the staff of Noel Fisher Fans for our first ever film screening contest! 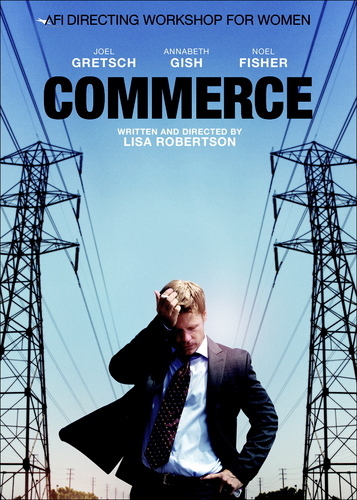 Beginning tomorrow at 9:00am EST (Wednesday, June 13), please tweet back to us “@noelfisherfans I want to see @noel_fisher in @commercefilm on june 23 in NYC.” We will randomly select a lucky winner on Tuesday, June 19 to win two tickets the “Commerce” screening at the Manhattan Film Festival. Please note, transportation is not covered in this prize. All that is included are two tickets ($24 value) for the screening (beginning at 7:00pm), which also includes access to the after party and the Q&A with director, Lisa Robertson. If you don’t easily have transportation to Manhattan on a Saturday evening, you might not want to enter this contest. Please contact the staff at contests@noelfisherfans.com for any questions. We will be in attendance that evening, so we’d love to meet other Noel fans. Here’s the link if you’d like to purchase tickets. Please keep up to date with all things Commerce!